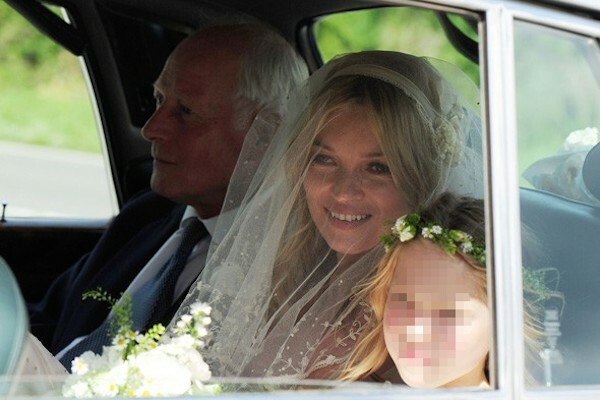 You are here: Home / Celebrity Weddings / Celebrity Inspiration – Kate Moss’s vintage inspired wedding dress and veil on a budget! 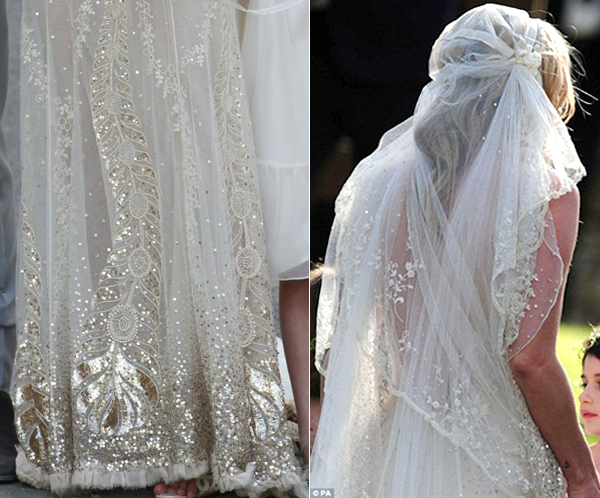 Celebrity Inspiration – Kate Moss’s vintage inspired wedding dress and veil on a budget! 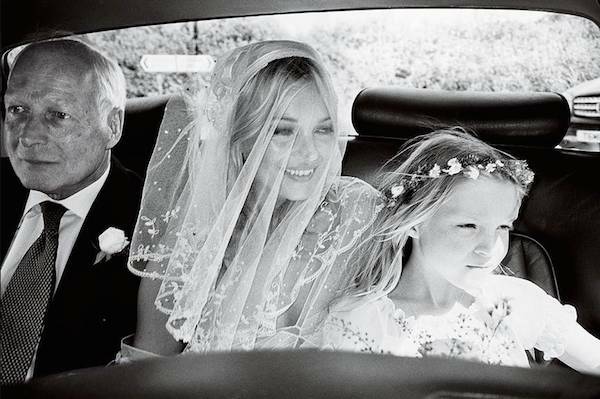 Hands down – Looking back..Kate Moss’s dress and veil are one of my favorite vintage inspired weddings by far! 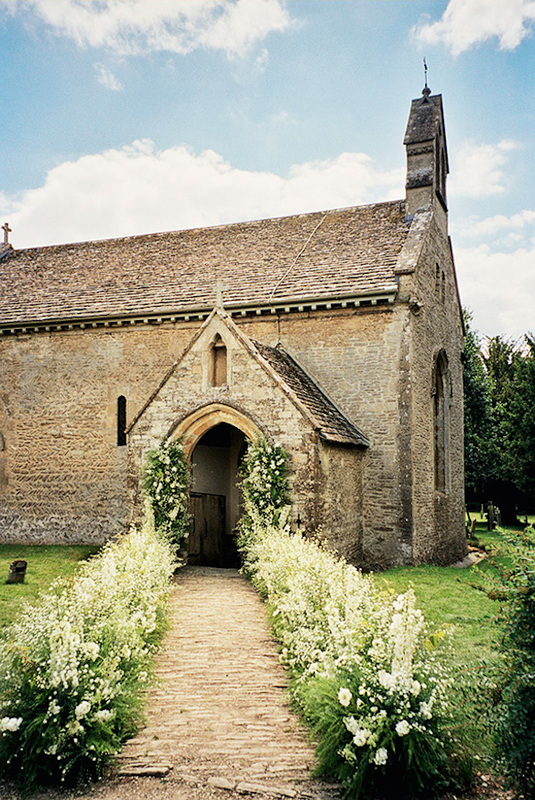 I just adored everything about this wedding; it’s classically beautiful and so ethereal, I had to dedicate a post to it! 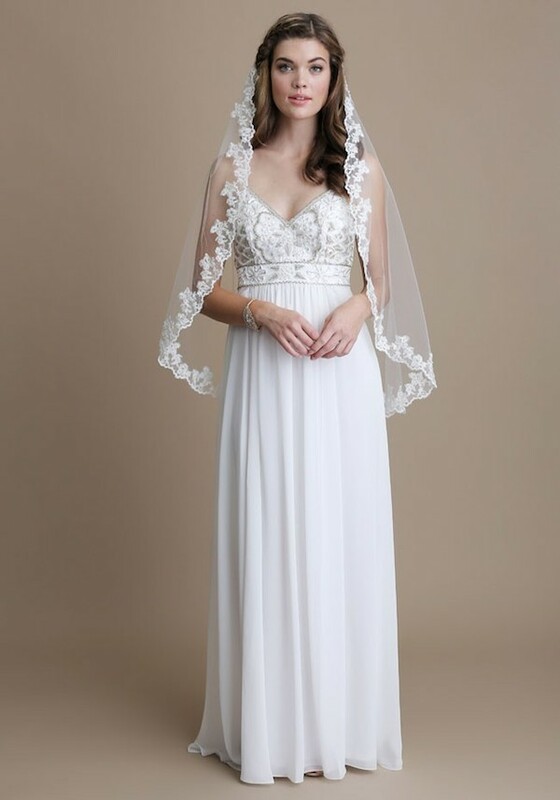 At the end…I have added a few examples of similar dresses and veil you can find for a much cheaper price and still have her vintage chic style! Kate is the original boho chic style icon and I am in love with her unique style all her own. Let’s look at some pics, shall we? I am just swooning, aren’t you??! 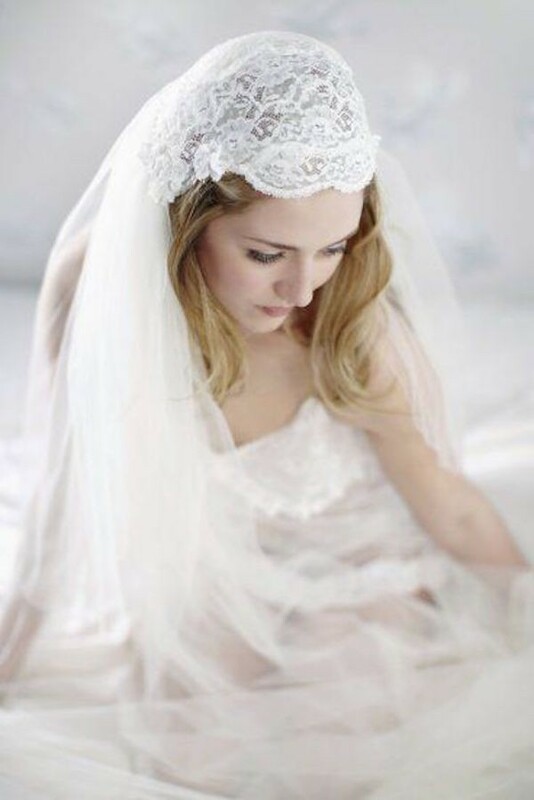 Check out my budget friendly finds below to re-create Kate’s amazing look (and her amazing juliet cap veil) below Kate’s pics! 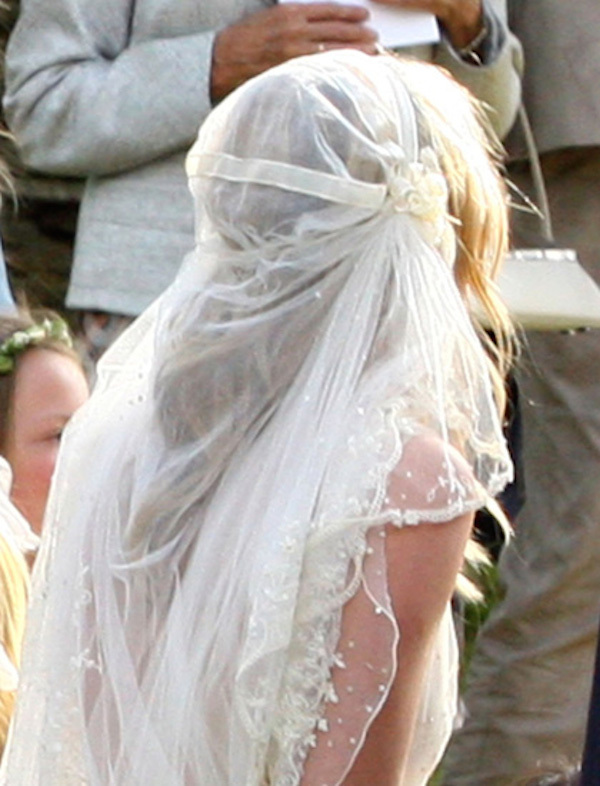 Lovely Shots of Kate’s amazing Veil! 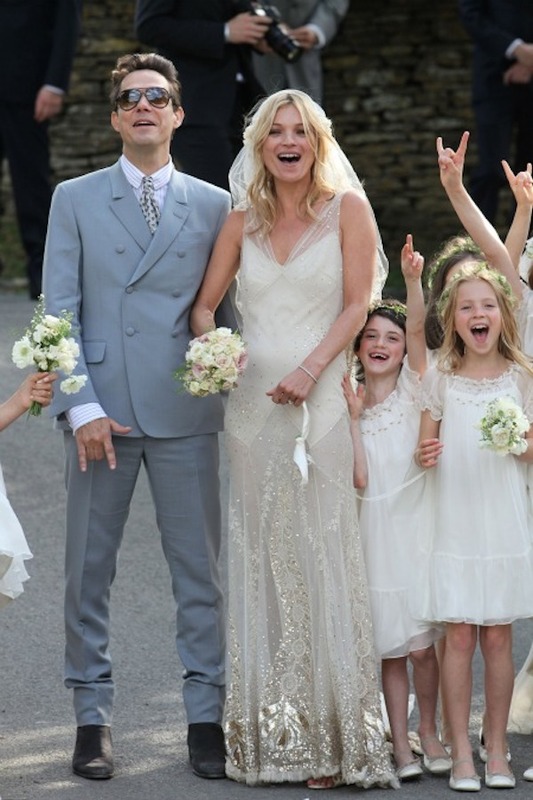 Want to get Kate Moss’s Wedding Day Look? 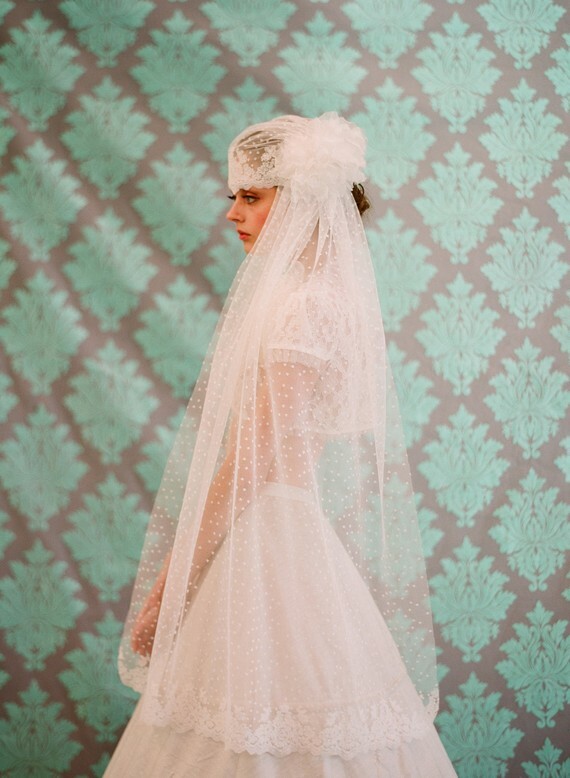 Re-create her look with these gorgeous budget friendly Veils & Dresses! 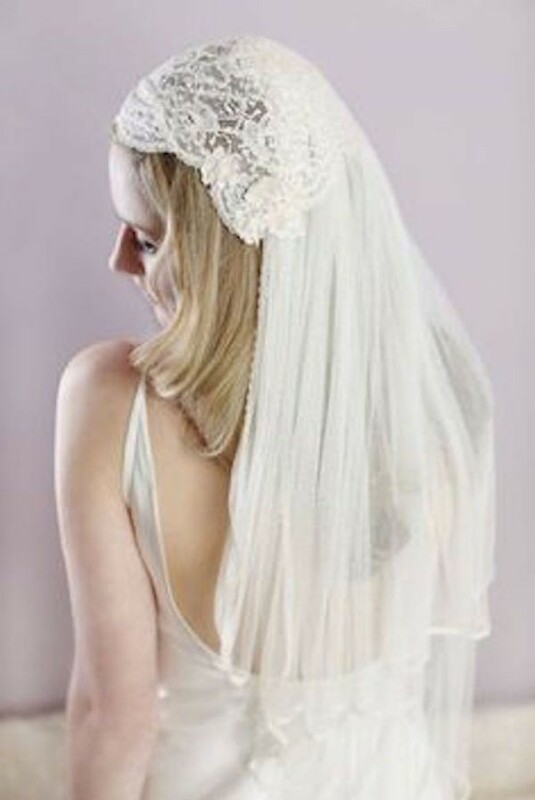 Check out this gorgeous Juliet Cap Veil at In Wedding Dress! Very close to Kate’s stunning design! 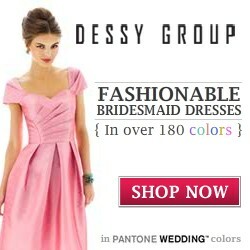 (Click photos of veils below or this link here to shop! 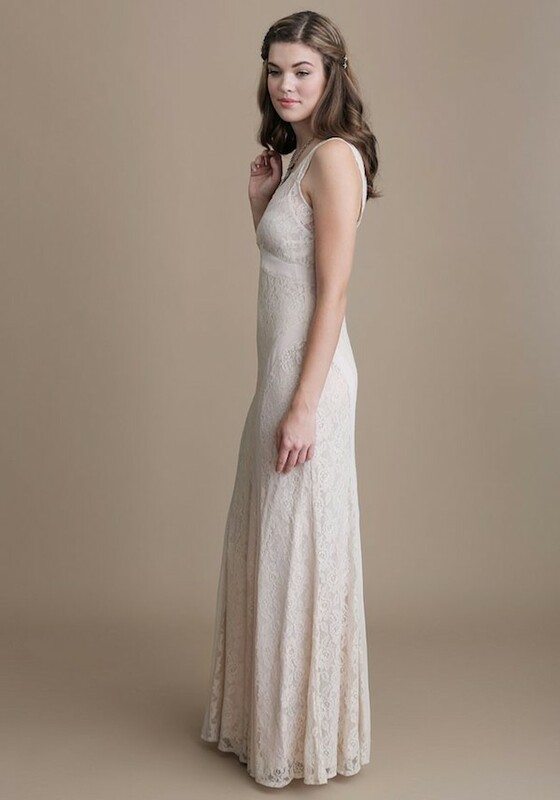 Whether channeling old Hollywood glamour with a deep red lip, dramatic finger waves, and a statement necklace or keeping it simple with side swept curls, a neutral lip and stacked bangles, this beige lace dress is perfect for saying “I do.” Featuring a full slip, a slight trumpet flare, and figure-flattering sheer paneling, this gorgeous gown offers just the right touch of drama and romance. Very Kate! 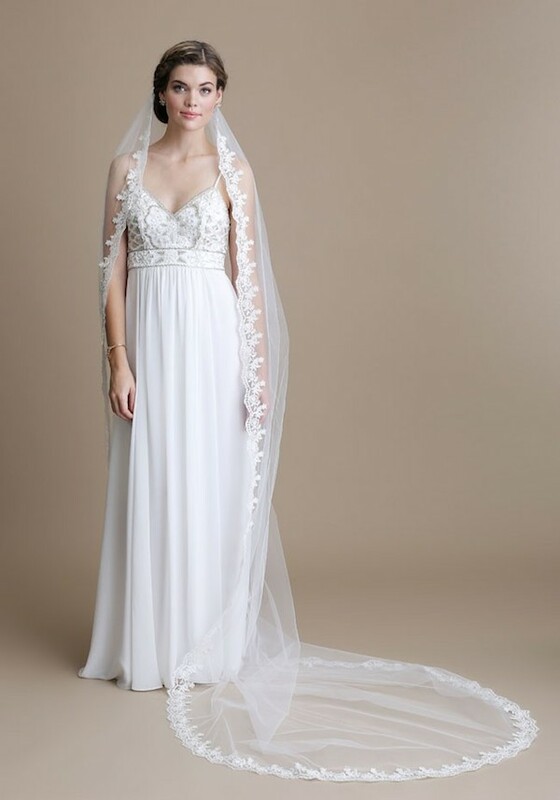 Embroidered and beaded with silver-toned details at the bodice, this dreamy white dress features a flowing white skirt with a flattering empire waistline. 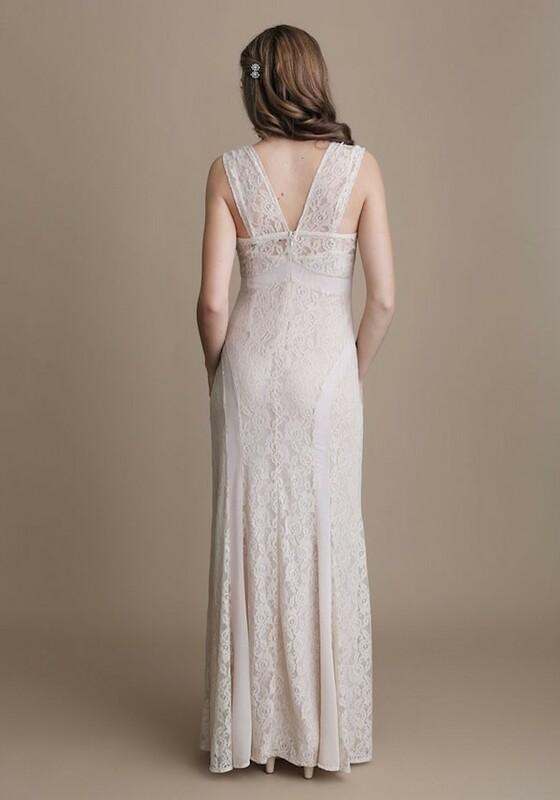 Perfected with a subtle V-cut neckline and delicately thin straps, this dress is elegant, timeless and ethereal. 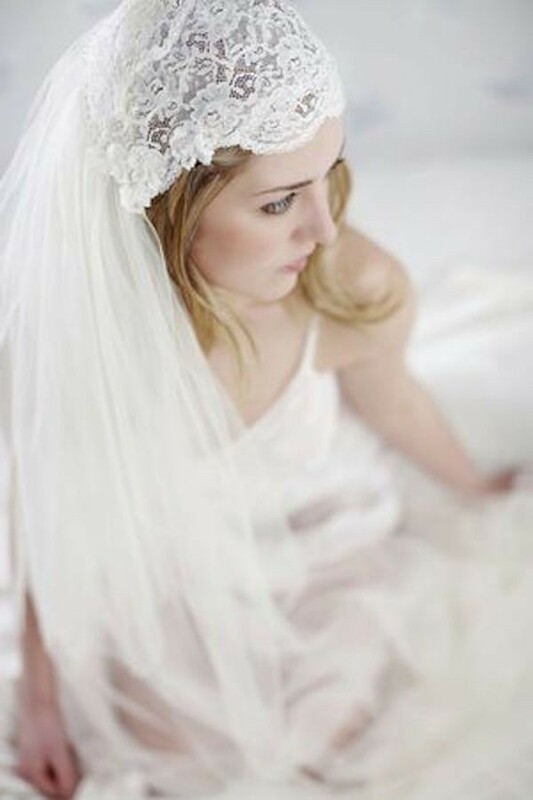 Pair with a sweeping curled up-do and a thin glittering floral crown, or long loose waves and a dramatic long veil for a stunning look on your special day. Fully lined. By Sue Wong. Lovely and really channels Kate.. Enjoy! 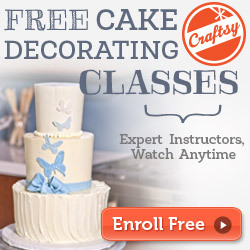 Hope this helps inspire you with some ideas for your own wedding! A family member recommended me to your site. Thanks for the details. Perfect ! Glad you stopped by! take care!! Wonderful! Glad to have you here! Hugs & have a great day!! Hello, thank you! It;s a word press theme and I had the banner designed by a graphic artist. I am glad you like it! Take Care! Hello! Thanks so much. Can you tell me what your weblog is? I am not sure what you are asking? Please fill me in. Have a great evening! 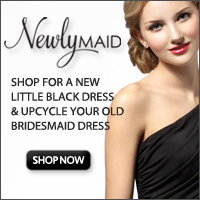 Perfect for fall – love it!